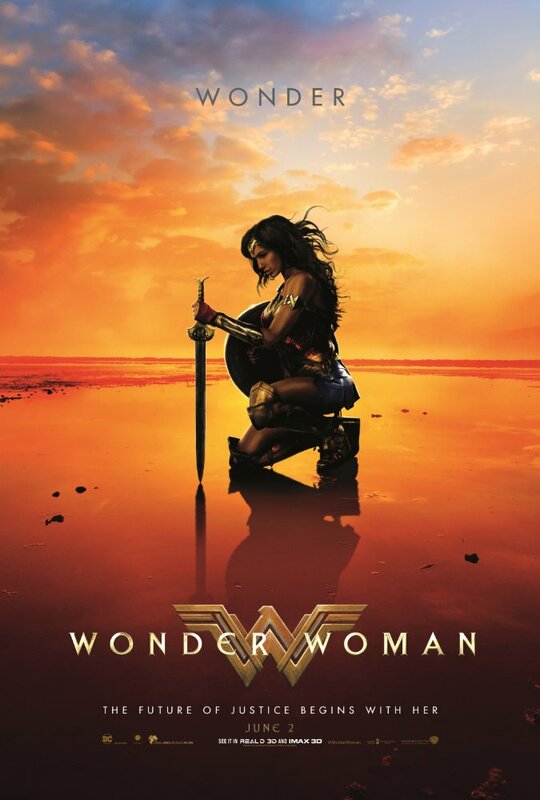 By now you’ve likely heard, or seen for yourself, that Wonder Woman is the best, most well reviewed, DC superhero film since The Dark Knight. On the one hand, that shouldn’t be hard to believe considering how poor the first few films in this new DC cinematic universe have been. But on the other hand, the fact that this film is good enough to stand alongside what is generally accepted as one of the best superhero films ever made speaks volumes. Nevertheless, you might be wondering, can Wonder Woman really be that good? Firstly, the film isn’t without its flaws, some nitpicky, and some a bit more serious. I’m sure some will even spend too much time examining them, but like any good film, the flaws don’t ruin the experience. In fact, I suspect this film will hold up well to repeat viewings - unlike The Dark Knight Rises, whose plot holes only become more glaring the more I see it. Aspects of this film will remind of the first Thor film - considering we’re witnessing a god attempt to integrate themselves into the foreign land of men, which grants this film, about a powerful woman, another layer. There’s certainly also a little of the first Captain America in the mix, for obvious reasons. Nevertheless, it’s likely Richard Donner’s Superman (1978) this film owes the most to. It showed how easy it can be to form bonds with good people. It showed how romantic love could teach a non-human to find the good in humanity. In fact, Wonder Woman is the film Man of Steel should have been. It deals directly with the problem of why a powerful god should concern themselves with these lesser humans in ways Man of Steel didn't. Gal Gadot is excellent. She successfully portrays the wide range of emotions and characteristics the film asks of her. She’s naive and vulnerable. She’s inquisitive and passionate. She’s idealistic and charming. She’s compassionate and good-natured. She’s confident and driven. She’s cool and tough. She seems to be discovering herself and gaining confidence as she goes. But, importantly, she’s also never so perfect that she doesn’t have an important lesson to learn by the film’s end. And when it’s time to jump into action, she’s devastating. The Amazon fighting style is like nothing we’ve seen in superhero films yet. It’s smooth like a dance, but quick and violent in ways we’d expect out of Batman. She’s able to flip backward off a horse, but still accurately loose an arrow at an enemy. She’s able to slide across a floor and cut down a room full of foes with only a few short swings of her sword. She’s able to propel herself forward like a rocket to land with devastating impact. She also utilizes weaponry (minus the shield) we haven’t really seen in other superhero films. There’s also a beautiful artistry to the props and set design. Wonder Woman’s armor and weaponry, in particular, are intricately designed. Most of the effects are a convincing mix of practical and CGI effects. To be fair, there are a handful of shots that look noticeably video-gamey, but they’re few and far between. Most of the film’s most visually stunning use of props and set design happen in the film’s opening act spent on the Amazon’s hidden island. In fact, it’s done so well, it’s no wonder people are calling for a spin-off. Nevertheless, as positive as I've been up to this point, it doesn't quite stick the landing. It's 2/3 of a great film that starts coming apart at the seams toward the end. Where the last 3rd falters is in the pacing and the way it hints at the primary ideals the film is trying to get across (and indeed the primary ideals the character is built on), yet moves on all too quickly in favor of a clichéd battle sequence shown in quick cuts, bright lights and loud noises. It includes abilities and actions we have no frame of reference for understanding, and parallel lines of action that may as well be worlds apart. This final action set piece is as nearly incomprehensible as so many others in far too many of these superhero films. It's a disappointingly conventional end to a film that had been rising above so many of the common trappings of the genre. There's also the problem this ending presents for future Wonder Woman films considering it ends with the death of war just a few years before the start of an even deadlier World War. Those may sound like harsh criticisms, but there's also an emotional resonance there that shouldn't be ignored. While Snyder is listed as having contributed to the story along with Jason Fuchs and Allan Heinberg, it’s Heinberg’s screenplay and the direction by Patty Jenkins that provided the fine touch and subtleties that have been so sorely lacking in the brash, joyless films we’ve seen from DC so far. It’s nice to finally have a DC hero film that is bright, colorful, filled with a sense of hope, capable of having a laugh, and, more importantly, is actually about something! It also features a likable lead that's charming and idealistic in the ways I imagine the source martial envisioned, rather than being jaded beyond recognition. It certainly doesn't hurt that there's a timely message here about love saving the world. Wonder Woman is everything the Zack Snyder DC films aren't. It is easily the best DC film since Christopher Nolan wrapped up his series of Batman films, and it gives hope for the future of the DC cinematic universe. To answer your question, yes it's that good.